Activision just confirmed a whole lot of heroes: the long-teased DJ Hero being the most notable among them. 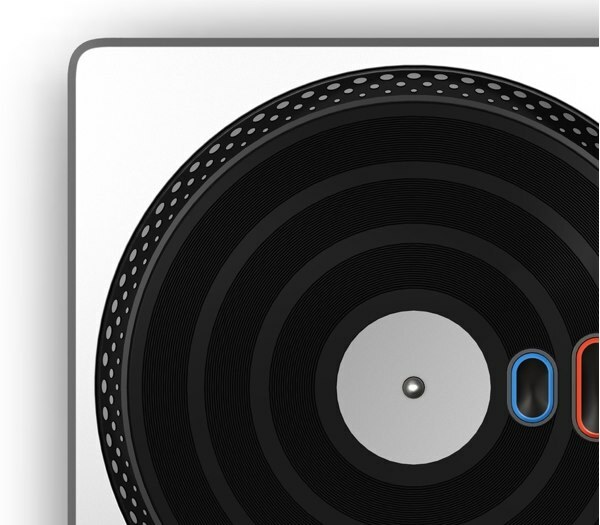 Many trivial humans had conjectured what a "Hero"-style DJ controller would look like, and at last we have our first look (above, and there's another shot after the break). Sure, we have no idea how we're supposed to play it -- where's the whammy bar, for instance? -- but we're sure once we tape a couple of our mom's Perry Como records to the sides we'll start to get the picture. Music genres include "hip-hop, R&B, Motown, electronica and dance," and the game will allow turntablists to create "original mixes" of songs. Additionally, Activision is also prepping a family-friendly Band Hero game, and a Guitar Hero 5 followup to its flagship title, with all three new Hero games hitting sometime this fall.